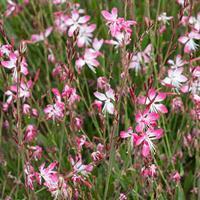 Wands of fluttering pure white flowers with bright pink edges are a long-blooming wonder of summer. 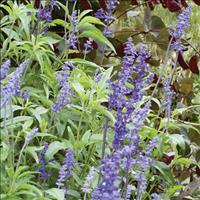 This showy native flower is easy to grow, drought tolerant and trouble-free, just trim spent flower wands to encourage more blooming. Lovely with tall verbena, grasses and sea holly in the dry garden. 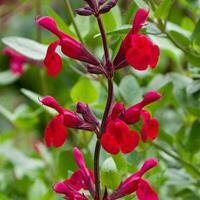 A fantastic passalong plant from a chance seedling in Peachie Saxon’s garden. 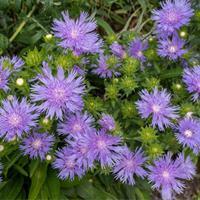 Outperforms all other Stokesia on the market, with scads of lavender blue flowers atop compact, branching, sturdy plants. Blooms in summer and butterflies just won’t leave it alone!